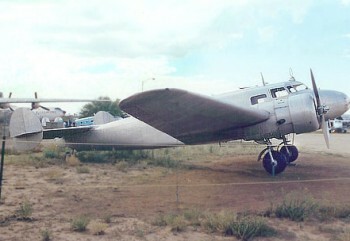 First flying in February 1934, the L.10 Electra was an all-metal, low wing monoplane design with retractable undercarriage and 10-passenger capacity. It first served with Northwest Airlines in 1934, and in time flew with Pan American, Braniff, Continental, Mid-Continent and National in the United States, as well as with non-US operators Trans-Canada, British Airways, Aeroput, LOT, Guinea Airways, and Ansett. In all, 148 were built, 101 being L.10As, 18 L.10B, 8 L.10C, 15 L.10E, one each of the US Coast Guard XR20-1 and XR30-1, and experimental pressurised XC-35; and 3 US Army Air Corps C-36s. The L.10s were also used for corporate transports, and for long distance flights, most notably that of Amelia Earhart and Fred Noonan, who vanished without trace crossing the Pacific during their world flight of 1937.